Occasionally, science comes together beautifully for a discovery — and sometimes this happens for more than one team at once! Today we explore how two independent collaborations of scientists simultaneously found the very first kinematic evidence for young planets forming in a protoplanetary disk. Though they explored the same disk, the two teams in fact discovered different planets. Over the past three decades, we’ve detected around 4,000 fully formed exoplanets. Much more elusive, however, are the young planets still in the early stages of formation; only a handful of these have been discovered. More observations of early-stage exoplanets are needed in order to understand how these worlds are born in dusty protoplanetary-disk environments, how they grow their atmospheres, and how they evolve. Recent observations by the Atacama Large Millimeter/submillimeter Array (ALMA) have produced stunning images of protoplanetary disks. The unprecedented resolution of these images reveals substructure in the form of gaps and rings, hinting at the presence of planets that orbit within the disk and clear out their paths as they move. But there are also non-planet mechanisms that could produce such substructure, like grain growth around ice lines, or hydrodynamic instabilities in the disk. How can we definitively determine whether there are nascent planets embedded in these disks? Direct direction of a point source in a dust gap would be a strong confirmation, but now we have the next best thing: kinematic evidence for planets, from the motion of a disk’s gas. 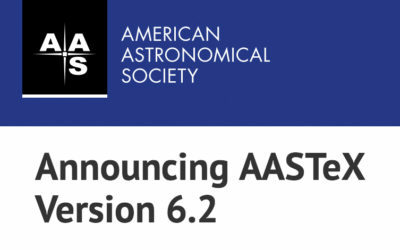 In two papers published today in ApJL — one led by Richard Teague (University of Michigan) and the other led by Christophe Pinte (Monash University in Australia and Grenoble Alpes University in France) — astronomers have announced the detection of distinctive signs of planets in the gas motion of the disk surrounding HD 163296. This young star, located about 330 light-years away, is only ~4 million years old. Unlike studies that hinge on observations of a disk’s dust — which only makes up ~1% of the disk’s mass! — both studies here took a new approach: they used detailed ALMA observations revealing the dynamics of the disk’s carbon monoxide gas. By studying the gas’s motion, the teams found deviations from the Keplerian velocity that would be expected if there were no planets present. The authors then ran simulations to demonstrate that the deviations are consistent with local pressure perturbations caused by the passage of giant planets. What did they find? Teague and collaborators, whose technique to identify velocity variations is best suited to explore the inner regions of the disk, discovered evidence for two separate Jupiter-mass planets orbiting at distances of 83 AU and 137 AU in the disk. Pinte and collaborators, whose velocity-measurement technique better explores the outer regions of the disk, found evidence for a two-Jupiter-mass planet orbiting at 260 AU. These results will rely on additional imaging in the coming years to confirm the presence of these newly born planets — and a detection of point sources at these radii remains a hopeful goal for the future. Nonetheless, the new techniques explored here by Teague, Pinte, and collaborators are a promising route for young exoplanet discovery and characterization in other disks imaged by ALMA and future instruments.